Earn $5.59 in VIP credit (559 points)What's This? 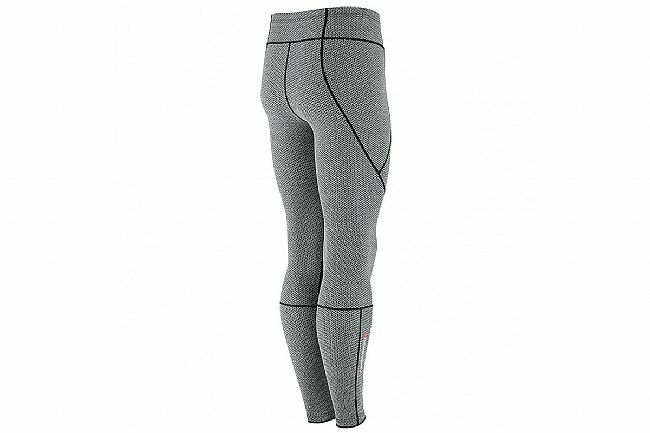 The Louis Garneau Women's Stockholm Tights is designed to be the ideal layer for cool-weather running, cycling or even skiing. 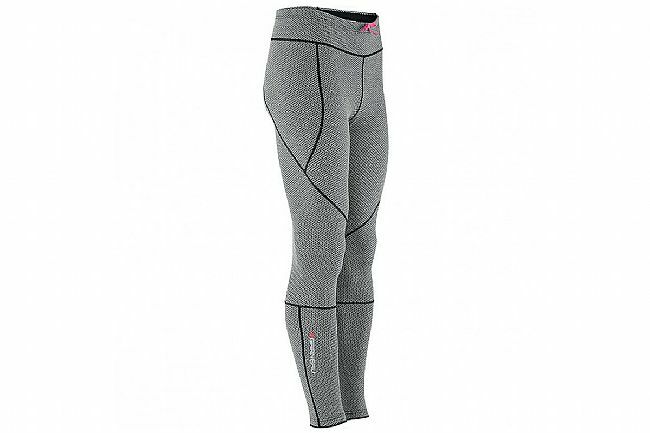 These chamois-less tights are the perfect addition over padded shorts or by themselves, featuring Louis Garneau's lightly insulated HeatMaxx material, striking the perfect balance between warmth, comfort, and flexibility. Designed to keep you warm without restricting movement, the Roubaix-type HeatMaxx fabric features a smooth outer-surface with a micro-fleece lining for superior comfort. The 12-panel tight sports a snug semi-form fit, using flatlock seams to reduce chafing for when this tight is worn by itself. The HuggFit waist smoothly wraps around the waist to secure the fit up top as well as stabilize the muscles of the lower back and core, and features a drawstring for added security. I really like these. Like the feel of them and the change from black. The grey is actually grey with a tiny black geometric pattern. I ordered Large based on waist measurement since I am in between medium and large in hips. They are very stretchy and too big. Re-ordering in Medium. Bought the Garneau Mat Ultra Tight at the same time. Large was good fit in that style.